Facebook Messenger has roughly 900 million users, which is enough bodies to fill 14 United Kingdoms. So, chances are good that you’ve used the app at some point, even if it means checking that weird hidden folder every once in a while to see what kind of awful spam strangers or bots have sent you. If you use it for more than that, however, you may be interested to know there’s a lot more you can do besides typing “u up?” to anyone who happens to be online at two in the morning. Facebook Messenger is full of games, easter eggs, and useful bots, and we’re here to bring you all the best tips and tricks. Haven’t you heard? Bots are the future. You can order flowers, call an Uber or Lyft, all from the comfort of a Facebook Messenger window. But that’s not all the bot world has to offer—you can also play Messenger’s version of Chat Roulette, read some Bible verses, find something for dinner, sort of talk to Drake, or pretend that Harry Styles is your boyfriend. Isn’t the future amazing? Instead of sending a boring message comprised solely of text, try sending a short video instead. In the mobile app, tap the camera button and hold down the middle circle for video. Bonus points if you make it weird, like this video I made in my office and sent to a friend with zero context! In March, Facebook Messenger unveiled a nifty little gimmick: a playable basketball game that can be accessed by sending a basketball emoji and tapping it. Euro 2016 is currently underway, and Messenger is in on the action. Much like the basketball version, the playable football game reveals itself if you send a soccer ball emoji and tap it. It should be noted, however, that both the basketball and soccer games are also much harder to play than they look. 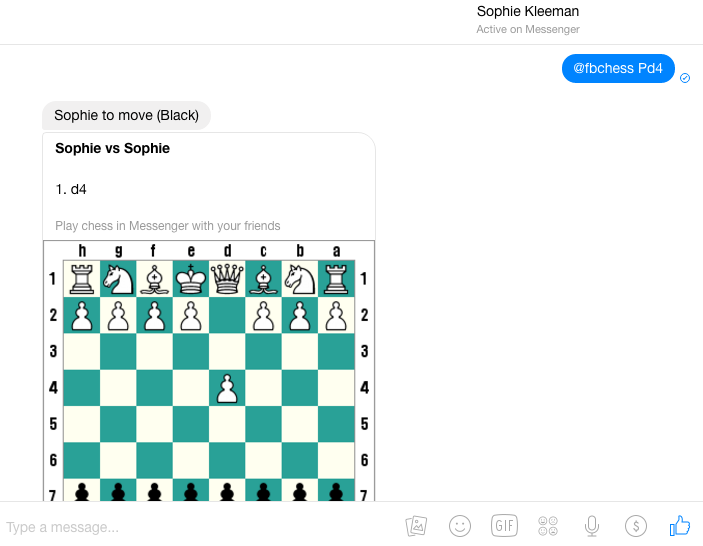 If sports aren’t really your thing, you can type “@fbchess” into a chat window and play a game of chess against a friend. You can also somehow play chess against yourself, which makes for an amusing activity if you’re really bored. You’ve had a bad day. You need a pick-me-up. Type @dailycute into a chat window and see what happens. Do you need to send a friend some money for that slice of pizza last weekend, or for the Ikea bookshelf you split the cost of? How about for those drugs you bought from that weird dude who hangs out at all your neighbourhood parties? 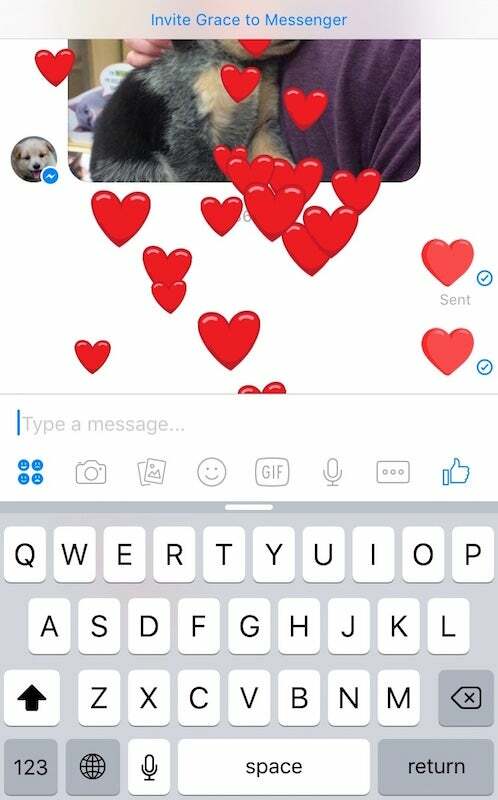 You can use Messenger for that!